A few years ago eight workers at a Nebraska meat packing plant hit the jackpot. They split the largest lottery prize in history, 365 million dollars. It was front-page news. Their responses to questions at a press conference were priceless. One of the winners, Quang Dao, a Vietnamese immigrant said, “This is a great country.” Mike Terpstra, a 47-year-old single man is a little more philosophical. He said, “Everybody has dreams. Buy an island. Buy an airplane. In reality, I’m not a fan of flying and I don’t like water.” Another winner, referring to his three-month old baby said, “She’s going to be happy for the rest of her life.” Right? We are often fooled into believing that the source of our happiness can be found on this planet in spite of a mountain of evidence to the contrary.  Let’s begin with a test. I have one cookie and two children. If I give the cookie to one of the children the other will say, “That’s not ______.” So, to avoid this insult, I divide the cookie. When the cookie breaks, one piece is larger than the other. The one who gets the smaller piece will complain, “That’s not ______.” You passed. Children come equipped with a profound sense of fairness that seems to be programmed into every human heart. It is so strong that I believe many people reject Christianity not because it seems unreasonable but because it seems so unfair. To suggest that Jesus is only one way to Heaven excludes all those who are not Christians. And that’s not _______. What you have just experienced is a powerful argument for the existence of God. Today we take up the second of seven important questions in our Explore God series, “Is There A God?” What we have just experienced together is one of many arguments for the existence of God. When we feel wonder or joy or even longing - where does that come from? Does a poodle ponder a sunset or a snail write a symphony? Why do we have this deep inner longing that we grasp for a moment in a painting or song. “If we find in ourselves a desire that nothing in this world can satisfy, it is possible that we were made for another world.” Could there be a Satisfier at the end of our search for satisfaction? Trapper John is exploring God. For the next seven weeks I want to invite you to explore God too. Some of you, maybe most of you, have already discovered God. But many people you know are troubled by questions such as: “If God exists, why is He so shy? He seems to be playing hide and seek.” “If God exists, why doesn’t He do something about this mess on planet earth?” “If God exists, is He (or She) Muslim, Buddhist, Hindu, Christian or other?” “If God exists, what does He want from me?” These are the kinds of questions we are going to consider over the next seven weeks. Explore God is simply an invitation to ease of off the road for a season and think about the things that matter most. Today we are going to begin our expedition with the question, “Does life have a purpose?” If you’re like most people there are times when you have felt like you’re just going in circles. Good morning everyone and welcome to Fellowship Dallas. We’re glad you are here. My name is Randy and I’m one of the Associate Pastors here at the church. If you are new here, then you may not know that next Sunday is a big day for us. 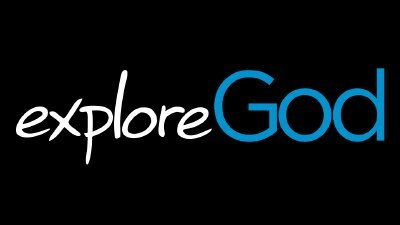 We, along with hundreds of other churches across the Metroplex, are launching into a two-month series called Explore God. We are really excited about what we sense God will do in our church and through our church to reach the people of our city, our neighborhoods, our families and our friends. We can’t wait to hear the stories of conversations and how God uses our offerings of time and love to bless others. We have come to the end of Mark 10 and I have decided to push “pause” in our series in order to apply some of what we have learned. For the next couple of months we are going to make an effort to engage our friends and neighbors in redemptive conversations about Jesus. We are going to do that by participating in Explore God with over 300 other churches in the metroplex. Explore God is a way to talk about some serious questions that don’t get talked about very much. For the next two weeks we will train, prepare and communicate how you can be involved and then, on Sept. 13, I will preach the first of seven messages that address some of the ultimate questions of life. But this morning I want to remind you of the two most important resources we have been given in order to lead people to the beauty of the gospel. The first resource is a prepared messenger.